Governing Failure: Provisional Expertise and the Transformation of Global Development Finance. (Cambridge: Cambridge University Press, 2014). 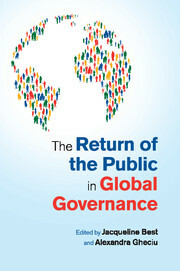 The Return of the Public in Global Governance. Eds. Jacqueline Best and Alexandra Gheciu. (Cambridge: Cambridge University Press, 2014). Many international relations scholars argue that private authority and private actors are playing increasingly prominent roles in global governance. This book focuses on the other side of the equation: the transformation of the public dimension of governance in the era of globalization. It analyses that transformation, advancing two major claims: first, that the public is beginning to play a more significant role in global governance, and, second, that it takes a rather different form than has traditionally been understood in international relations theory. The authors suggest that unless we transcend conventional wisdom about the public as a distinct sphere, separate from the private domain, we cannot understand the dynamics and consequences of its apparent return. Using examples drawn from international political economy, international security and environmental governance, they argue that ‘the public’ should be conceptualized as a collection of culturally-specific social practices. Cultural Political Economy. Eds. Jacqueline Best and Matthew Paterson. (London: Routledge, 2010). The global political economy is inescapably cultural. Whether we talk about the economic dimensions of the “war on terror”, the sub-prime crisis and its aftermath, or the ways in which new information technology has altered practices of production and consumption, it has become increasingly clear that these processes cannot be fully captured by the hyper-rational analysis of economists or the slogans of class conflict. This book argues that culture is a concept that can be used to develop more subtle and fruitful analyses of the dynamics and problems of the global political economy. Rediscovering the unacknowledged role of culture in the writings of classical political economists, the contributors to this volume reveal its central place in the historical evolution of post-war capitalism, exploring its continued role in contemporary economic processes that range from the commercialization of security practices to the development of ethical tourism. The book shows that culture plays a role in both constituting different forms of economic life and in shaping the diverse ways that capitalism has developed historically – from its earliest moments to its most recent challenges. 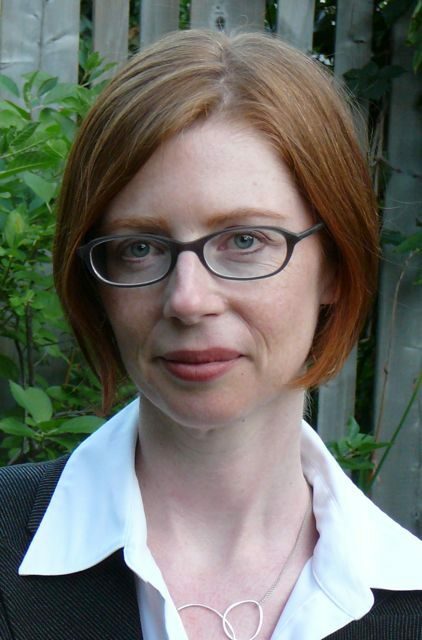 The Limits of Transparency: Ambiguity and the History of International Governance. (Ithaca: Cornell University Press, 2005).